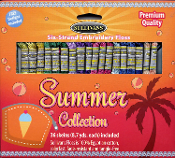 Sullivans 6 strand Embroidery Floss is a premium quality thread made from long-staple 100% Egyptian cotton. The cotton floss is pre-washed and dyed with the best color-fast dyes so there is no need to worry about fading or bleeding. Each strand is twisted for extra strength, faster threading, and ease of strand separation. 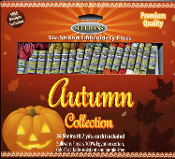 Perfect for cross-stitch, hand embroidery, punch needle, applique, quilting, and so much more. Each skein has the comparable DMC color number listed on the label.